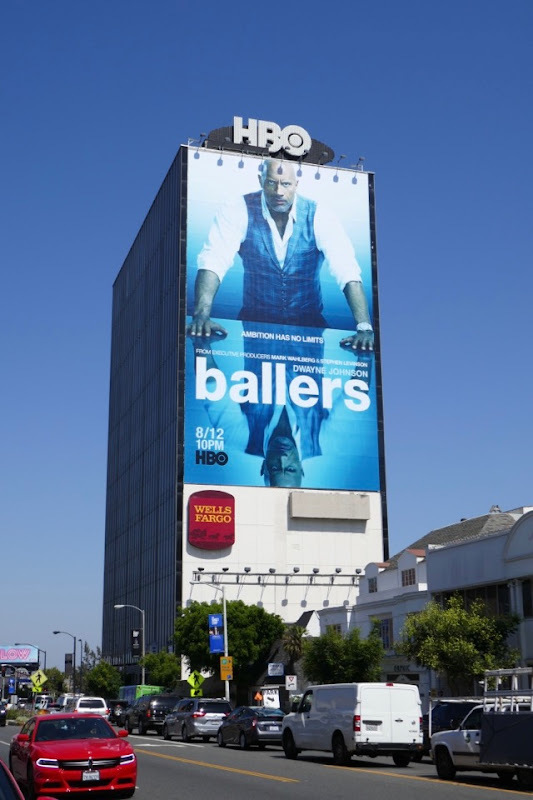 From the looks of things, Dwayne Johnson is ready to roll up his sleeves and get down to business in these billboards for the fourth season of HBO's Ballers. 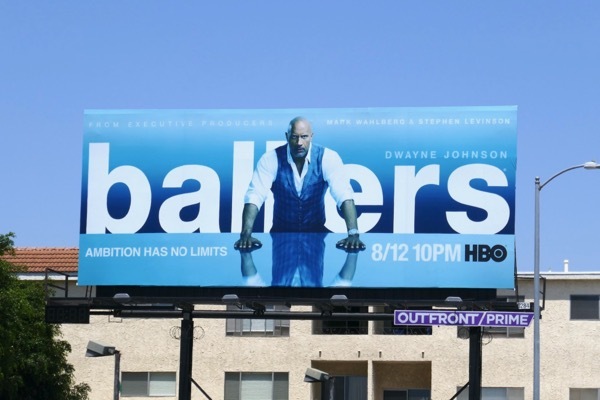 The only problem is though, are people suffering from Dwayne Johnson fatigue? With three popcorn blockbusters in quick succession, from the holiday season's Jumanji: Welcome to the Jungle, followed by Rampage in April and the disappointing box office for Skyscraper in July, do audiences have The Rock burnout? 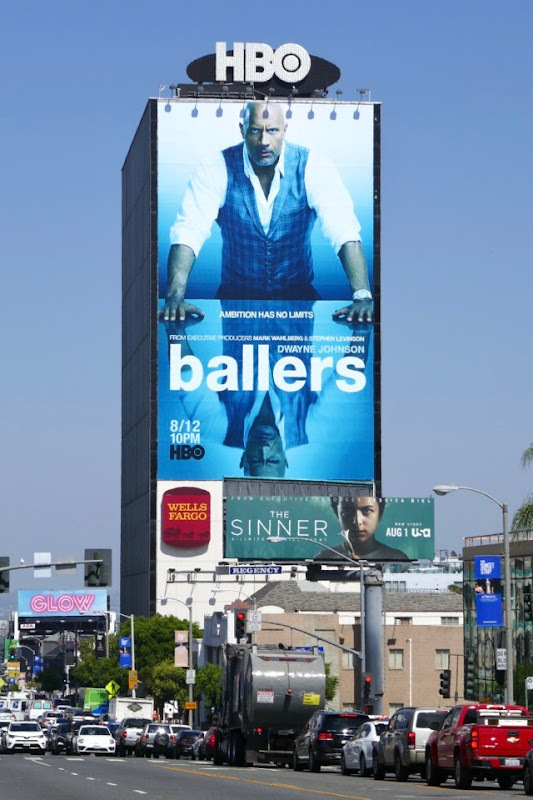 Daily Billboard is certain it's simply a momentary blip in his Hollywood success story, as he returns for another season as 'Spencer Strasmore', retired American football superstar turned financial manager for the sport's hottest current players. 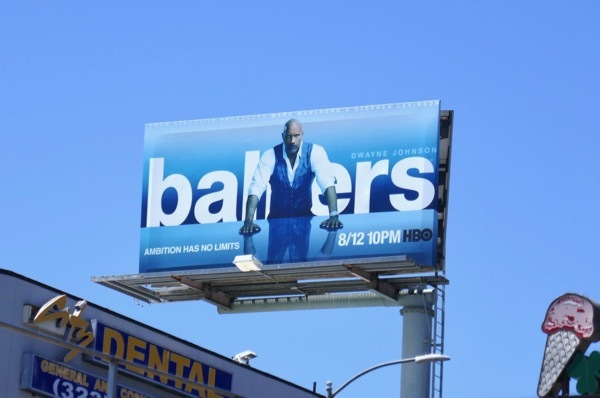 These imposing season four billboards were photographed along the Sunset Strip, La Brea Avenue and Santa Monica Boulevard from July 24 to July 31, 2018. 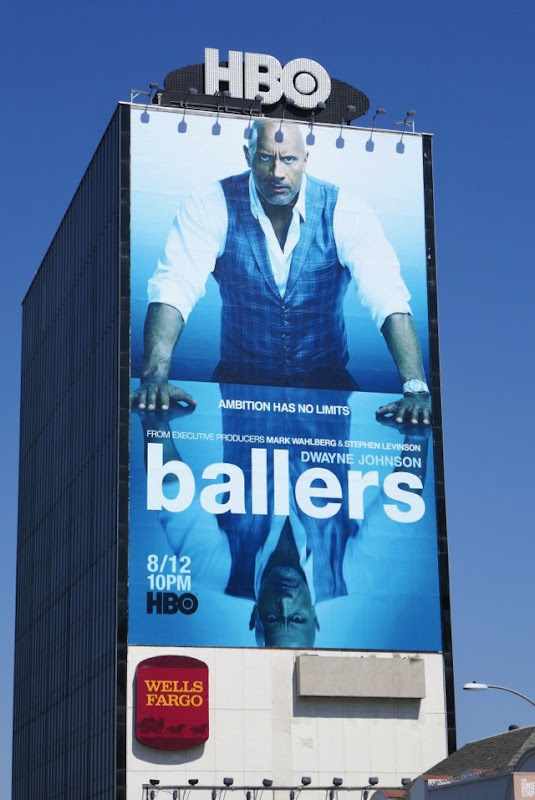 Fans of the HBO show can also check out all these previous season promo billboards for Ballers and admirers of the pro wrestler-turned-actor can enjoy this multitude of Dwayne Johnson movie billboards. 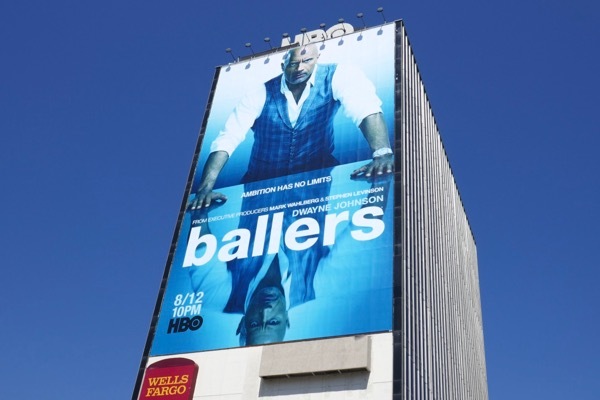 As Greek philosopher Heraclitus once said, "Big results require big ambitions". And would you really argue with Dwayne Johnson in person? 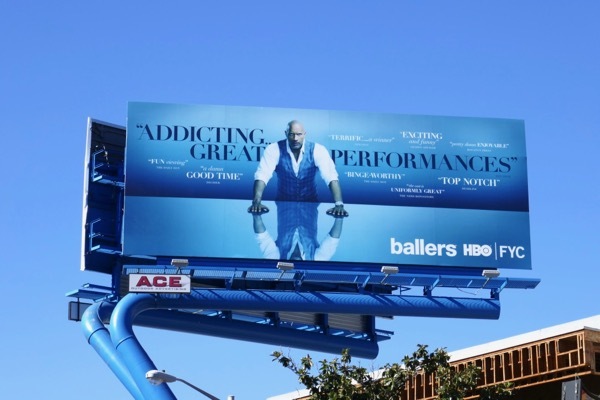 UPDATED: Can Ballers score a Golden Globe or SAG Award nomination this awards season? 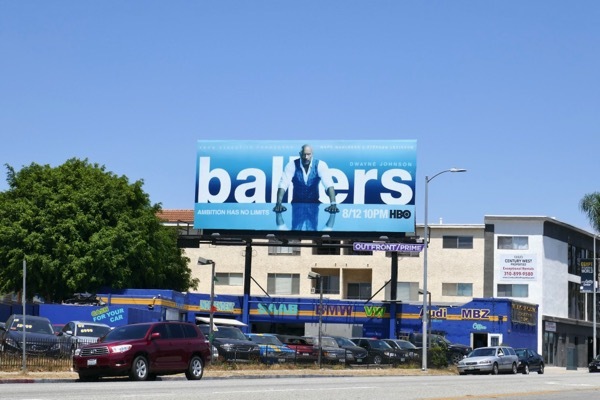 Maybe this review-laden 'For your consideration' billboard spied along the Sunset Strip on November 12, 2018, will help turn voters heads.